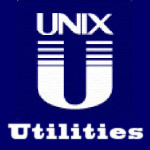 This is the third post in the article series about Unix and Linux utilities that you should know about. In this post I will take you through the useful lsof tool. If netcat was called the Swiss Army Knife of Network Connections, then I'd call lsof the Swiss Army Knife of Unix debugging. Lsof follows Unix philosophy closely. It does just one task and it does it perfectly -- it lists information about files opened by processes. An open file may be a regular file, a directory, a NFS file, a block special file, a character special file, a shared library, a regular pipe, a named pipe, a symbolic link, a socket stream, an Internet socket, a UNIX domain socket, and many others. Since almost everything in Unix is a file, you can imagine how incredibly useful lsof is! See the first post on pipe viewer for the introduction to this article series. If you are interested in articles like this one, I suggest that you subscribe to my rss feed to receive my future posts automatically! In this article I will try to present lsof based on as many use cases as I can think of. Let's start with the simplest (that you probably already know) and proceed to more complicated ones. Running lsof without any arguments lists all open files by all processes. Find who's using a file. With an argument of a path to a file, lsof lists all the processes, which are using the file in some way. Find all open files in a directory recursively. With the +D argument lsof finds all files in the specified directory and all the subdirectories. It's slower because +D first finds all the files and only then does the output. List all open files by a user. The -u option (think user) limits output of files opened only by user pkrumins. This will list all the files that are open by users rms and root. Find all open files by program's name. The -c option selects the listing of files for processes whose name begins with apache. This will list all the open files by a processes whose starts with apa. This will list all open files by apache and python. List all open files by a user OR process. Lsof options can be combined. The default is to OR between options. It means it will combine outputs of -u pkrumins and -c apache producing a listing of all open files by pkrumins and all open files by apache. List all open files by a user AND process. Notice the -a option. It combines the options with AND. The output listing is files opened by bash, which is run under pkrumins user. List all open files by all users EXCEPT root. Notice the ^ character before root username. It negates the match and causes lsof print all open files by all users who are not root. List all open files by the process with PID. The -p option (think PID) filters out open files by program's id. This selects processes with PIDs 450, 980 and 333. List all open files by all the processes EXCEPT process with PID. Here the negation operator ^ is used again. It inverts the list and does not include process with PID 1. Lsof with -i option lists all processes with open Internet sockets (TCP and UDP). List all TCP network connections. The -i argument can take several options, one of them is tcp. The tcp option forces lsof to list only processes with TCP sockets. List all UDP network connections. The udp option causes lsof to list processes with UDP sockets. Find who's using a port. The :25 option to -i makes lsof find processes using TCP or UDP port 25. Find who's using a specific UDP port. Find all network activity by user. Here the -a option combines -u and -i to produce listing of network file usage by user hacker. List all NFS (Network File System) files. This option is easy to remember because -N is NFS. List all Unix domain socket files. This option is also easy to remember because -U is Unix. List all files for processes with a specific group id. Process groups are used to logically group processes. This example finds all files opened by processes with PGID 1234. List all files associated with specific file descriptors. This lists all files that have been opened as file descriptor 2. This would list all files with file descriptors 0, 1 and 2. Output PIDs of processes using some resource. Lsof comes preinstalled on many Unix systems. If your system doesn't have it, try to install it from the source. BSD supplies its own utility that does similar things, it's called fstat. For the full documentation of lsof see the man lsof page or type lsof -h for a small cheat sheet. Have fun listing those files and until next time!